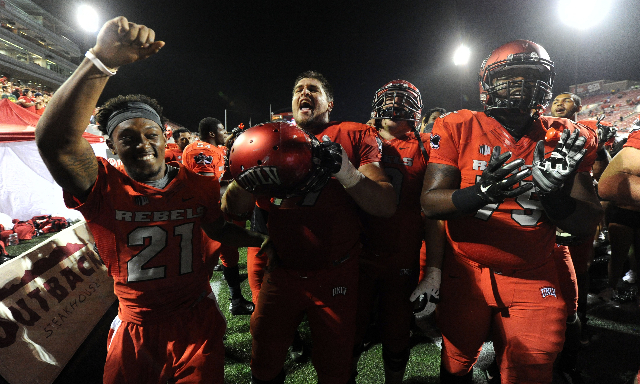 Five things to look for when UNLV’s football team plays at UNR at 4 p.m. Saturday. 1. 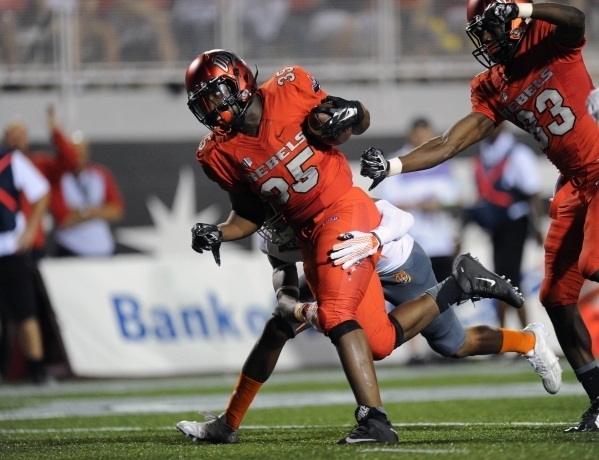 Which team establishes the better run game. 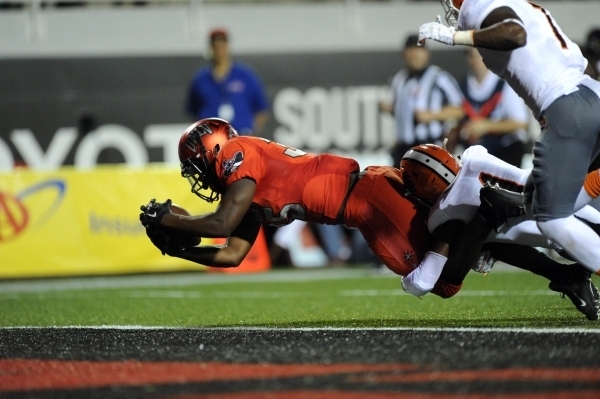 Both teams average more than 200 yards per game, and they both give up around that number. The better ground game probably produces the winner. 2. Which team better takes care of the ball. 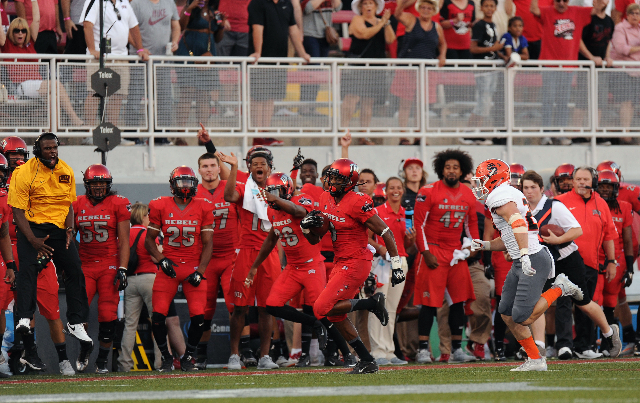 UNLV leads the Mountain West with 10 takeaways and a plus-5 turnover margin. UNR has only two turnovers, the fewest in the conference. 3. Which team makes the most plays in the passing game. The outcome might be decided on the ground, but if one side can produce some key plays through the air, that will be huge. 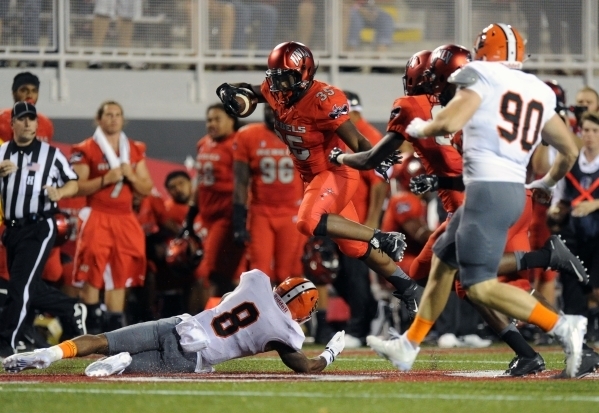 UNLV’s Devonte Boyd is the one true game-breaker, averaging 19.2 yards per reception, so this might be his time to shine. 4. Which team makes the biggest plays on special teams. Close games often come down to the kicking game, and a key return or a field goal in the final minutes could decide which team possesses the Fremont Cannon. 5. Which team handles the moment better. If this game is tight entering the fourth quarter, the team that better handles the mental aspect of the game is the one more likely to make the necessary plays. 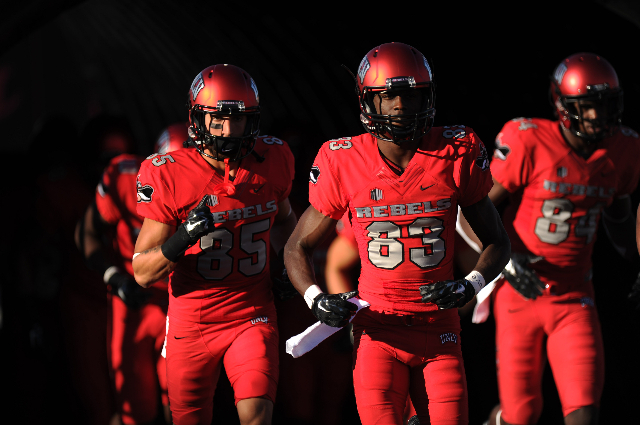 That has been in the Wolf Pack in recent years, but the Rebels are going into this game with a lot of confidence. 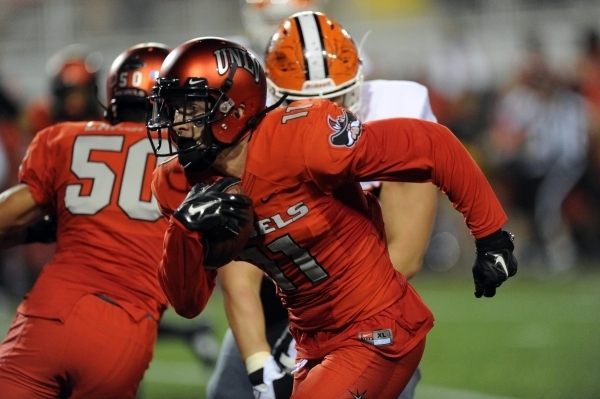 Check our GameDay page for all the news leading up to the UNLV-UNR game.